Five months after a Superior Court judge excoriated the Neighborhood Market Association’s longtime leader, Mark Arabo, the case to determine the future of the influential trade group hasn’t calmed down at all. Judge Richard Strauss last year ruled Arabo had abused the NMA and put a receiver in charge of the organization pending new board elections, arguing it “should not be run by the people who are running it now.” He ordered Arabo to repay nearly $250,000 in improper payments. 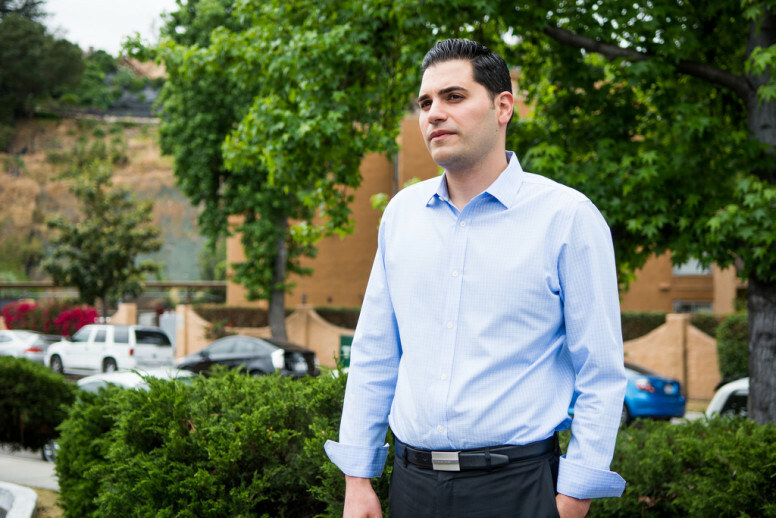 The NMA, a nonprofit group that represents hundreds of corner stores across the region, has played in local politics for years, and Arabo himself has considered running for office. He’s appeared on cable news advocating for Christians fleeing Iraq, and both he and the NMA are influential in the region’s Chaldean community. Strauss last week upheld the receiver’s decision to terminate Arabo’s NMA membership, which would keep him from running for a board seat in a new election intended to mark a fresh start for the group. But after Strauss’s ruling Friday, Arabo struck a deal with the receiver, Richard Kipperman. Kipperman agreed to hold off on terminating Arabo’s membership, as long as Arabo agreed not to run for the board. “If he doesn’t run for office, I don’t have an issue,” Kipperman said. “The problem becomes moot.” In a written statement, Arabo praised Kipperman for his service as a Vietnam War veteran. The kind words were a dramatic departure from Arabo’s dealings with Kipperman in recent months. In a 37-page report issued in February, Kipperman described Arabo as combative and antagonistic, and said he refused to provide documents and at one point encouraged someone to sue the NMA. Arabo filed a formal response with the court that’s equally fiery. He said Kipperman “hastened, signed and executed the NMA’s death sentence,” and said restricting Arabo and other former leaders from running for the board was subversive behavior that belonged in Iraq or Russia. The receiver’s report focuses on a seven-year contract between the NMA and Arabo’s company, Refined Management Inc. In 2015, after the plaintiffs — local corner store owners and NMA members — sued Arabo and the NMA, Arabo stepped down as NMA’s president, and the NMA gave RMI a contract to manage the NMA’s day-to-day operations for over $44,000 a month. That meant that instead of managing the NMA from inside as its president, Arabo was managing it as an outside contractor for more than $500,000 a year — all with less oversight from the board, the court concluded. Strauss decided the contract was approved “under false representations by Mark Arabo” and threatened the NMA’s finances. He determined the court could terminate the contract, and asked the receiver to lay out how to do it. In his report, Kipperman comes across as exasperated over Arabo’s lack of cooperation. For instance, he said he couldn’t get Arabo to provide any documentation of RMI’s expenses or agreements it made showing the work it was doing NMA’s behalf. While this was unfolding, Arabo continued to bill the NMA for RMI’s monthly payments. And when RMI was unable to pay its $4,000 monthly rent for a suite in downtown’s Symphony Towers, Arabo told the landlord to ask Kipperman, claiming the NMA had guaranteed the rent payments. The receiver couldn’t find any documentation showing NMA made any such guarantee. Namely, he found that once RMI got a contract to handle NMA’s day-to-day services, it turned around and signed another contract with Grassroots Resources Inc., paying it $15,435 to handle the NMA’s day-to-day management. Got that? The NMA outsourced its management to RMI for over $40,000 a month, and RMI outsourced the responsibilities to a third company for $15,000 a month. Kipperman concluded RMI was an unnecessary middleman, and there was no legitimate business case to maintain the contract. That was before he learned of yet another company that apparently had a contract to run the NMA’s day-to-day business. During this period, Ronald Lacey submitted an invoice requesting backpay of $28,000 for a verbal agreement he entered into with Arabo to act as NMA’s president. Kipperman said it was “peculiar” Lacey was hired as NMA president at the same time RMI was under contract to take over the president’s responsibilities. Plus, Lacey agreed to do the job for $3,000 a month, while Arabo’s company agreed to do it for $44,000 a month. Ultimately, Kipperman called the contract “unconscionable” because it let Arabo keep doing the job but with less oversight, the term of the contract is longer than the six years board members can serve, it didn’t include a way to terminate the deal early and Arabo refused to provide documentation justifying the compensation. “The level of compensation is so excessive, particularly in light of the lack of any performance criteria or ability of the NMA Board to review RMI’s performance, the Receiver can only conclude that the (contract) should be rescinded as soon as possible,” Kipperman wrote. Arabo’s response turned the volume to 11. Arabo was outraged that the receiver recommended he and other former board members be barred from running in the next election. “These dictatorial tactics are detrimental to both the NMA leadership and to the organization as a whole,” he wrote. “And while these blatant subversive attempts may play well in Iraq or Russia, they will not go without a fight by me,” Arabo wrote. On Friday, Strauss sided with the receiver. The judge reiterated that the trial showed Arabo had abused the organization repeatedly, and misled board members. He agreed with the receiver’s decision to terminate him as a member — though that’s now on pause, based on the agreement Kipperman and Arabo reached. Yet, in his ruling last year, Strauss said the NMA “should not be run by the people who are running it now.” But Kipperman told me he doesn’t know whether Arabo would be eligible to return as NMA president once a new board is elected, or what will happen to the RMI contract. “I can’t tell you from a legal standpoint if the new board decided to make him the King of France,” he said. “I don’t know if they have the right to do that or not.” He said the judge might have to make that determination at a later date. In a written statement, Arabo spokesman and former NMA communications director Lundon Attisha said Arabo never intended to run for NMA’s board in the first place. “Mr. Arabo’s only intention has been to serve in any capacity where he feels he could fight for social justice, or further the interests of small business owners,” Attisha wrote. He said Arabo has received an outpouring of support from friends and small business owners. In another statement, Ramzi Murad, NMA’s former chairman, disputed the judge’s conclusion that Arabo misled him. “We have been given a death sentence by Judge Strauss, the plaintiffs, and by the receiver,” he wrote.